American Airlines Flight 382, a short one-hour hop from Dallas/Fort Worth to Oklahoma City scheduled to leave at 1:45 p.m. CT turned into a 9-hour endurance test for passengers, as they waited on the plane for the flight to take off at 10:48 p.m. CT, ABC News reported. "We get on the plane and it's just one thing after another," passenger Brandon Sullivan commented to ABC News. 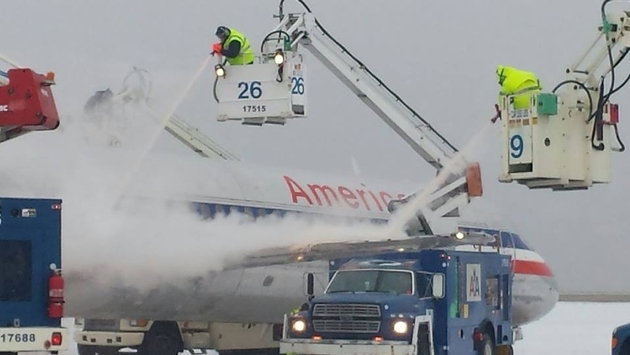 Sullivan added that de-icing equipment was delayed by heavy snow, so after about five hours, they seemed to be ready to go, but then other issues came to the fore. "We get so excited, we get to the end of the runway and then we find out we have a mechanical problem," he said. Sullivan spoke of passenger agitation, and a rush for the onboard booze. "People were obviously frustrated and there seemed to be no crew around there for a little bit," he said. "People were going in the liquor fridge, pulling out whatever they wanted to drink. It got a little chaotic there for a little bit." Rachel Charlton, another passenger, termed it an "up and down" experience. "We were happy one second because we thought we were leaving and then the next second we were just deflated because we were turning back to the gate," she said. When the plane returned to a gate, Miller said the crew had to be replaced because they had worked for eight hours, which made it against the law for them to fly. 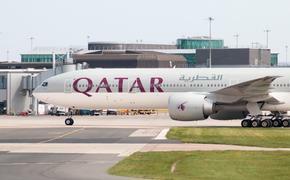 When the flight eventually departed, it was more than nine hours after some of its passengers had boarded. It landed in Oklahoma City about a half hour later, according to Flightaware.com. Because the plane was not held on the tarmac, the delays did not violate the three-hour limit set by the Department of Transportation. "Ten hours - it feels great to be home," said Sullivan. "It's incredibly stressful day. I don't ever want to do that again."